News & Trends> Inspiration > Building & Construction > The Interlace by Ole Scheeren was designed to "build a sense of community"
The Interlace by Ole Scheeren was designed to "build a sense of community"
In this exclusive movie, Eric Chang of Buro Ole Scheeren discusses the importance of the communal courtyards in The Interlace, the "vertical village" that was crowned World Building of the Year 2015 last week. 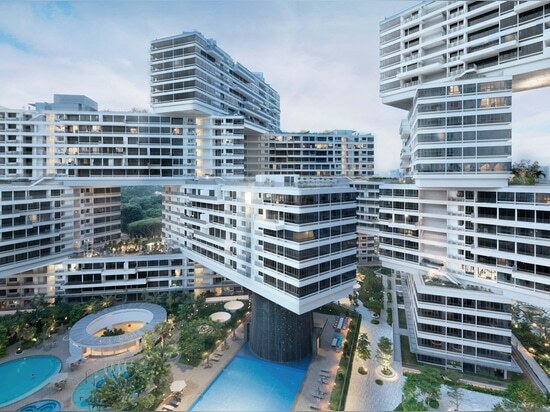 The Interlace is a large residential complex in Singapore consisting of a series of apartment blocks stacked diagonally across one another. German architect Ole Scheeren designed the project while running OMA's Beijing office, before setting up his own studio Buro Ole Scheeren. 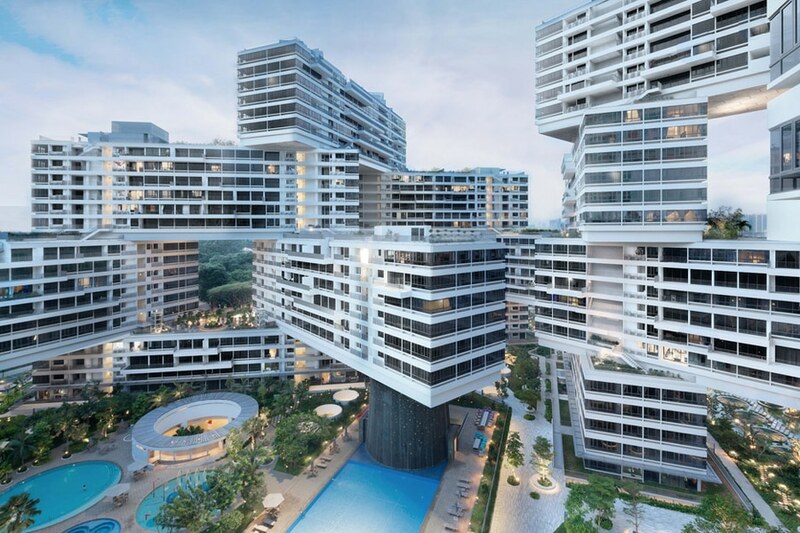 Chang is a partner at Buro Ole Scheeren and worked with the architect at OMA. 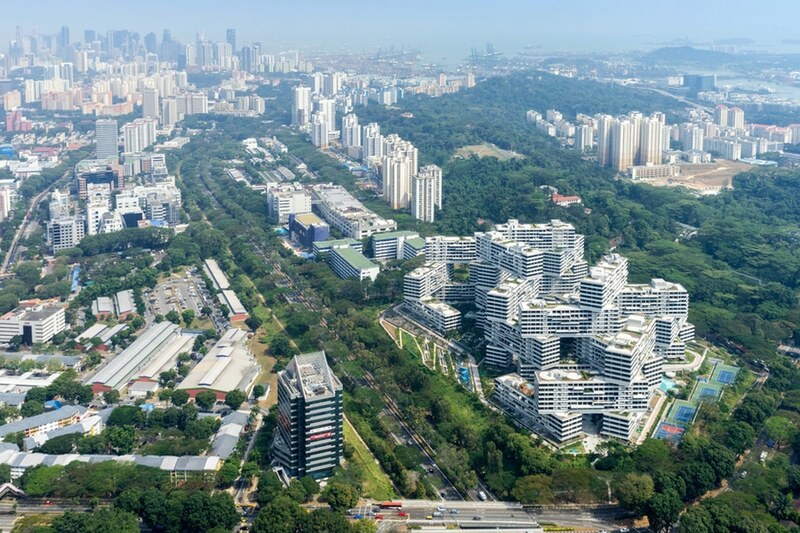 He says the concept behind The Interlace was to find a way of creating high-density housing without adding another tower block to Singapore's skyline. 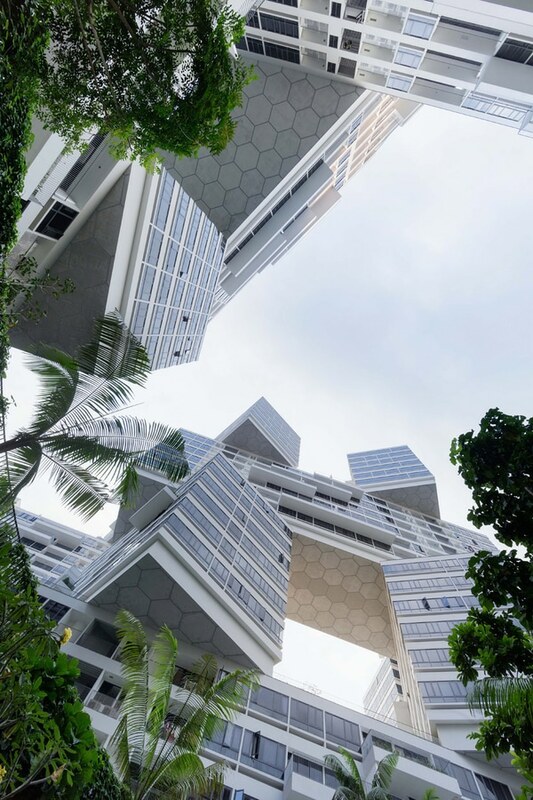 "It is 31 apartment blocks arranged in a hexagonal configuration on a very large eight-hectare site," he says in the movie, which was filmed in Singapore by Dezeen for World Architecture Festival. 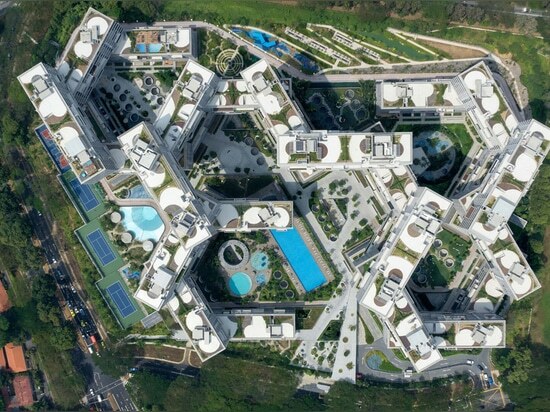 "One of the interests in the beginning was to look at how to approach something with such a high density more on the scale of a vertical village than a single building or tower typology." 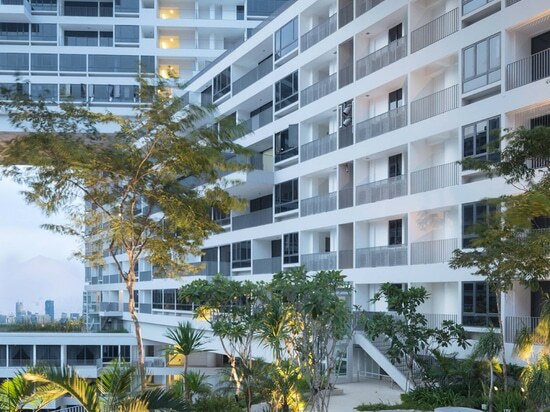 Each of the apartment blocks is six storeys high and they have been stacked to create a series of gardens and terraces at different levels. 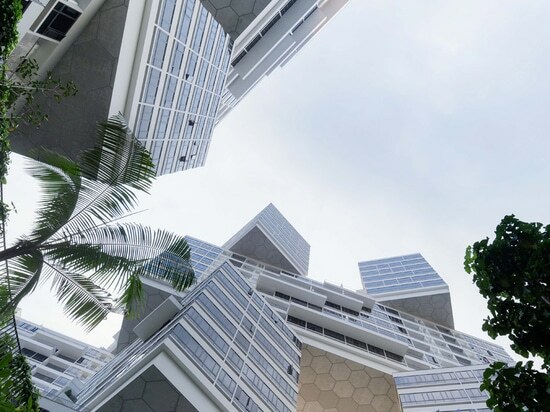 Large multi-storey voids between blocks allow light and ventilation across the site, while eight large hexagonal courtyards break up the space at ground level. 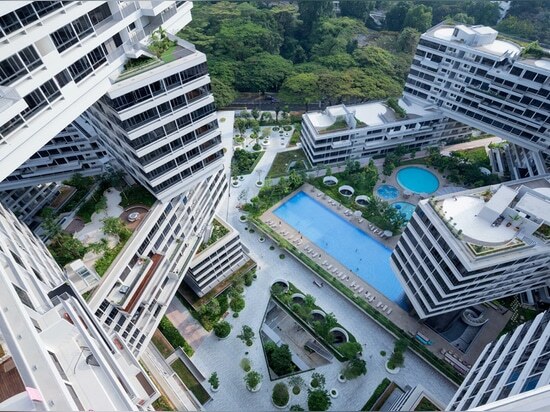 The courtyards have been landscaped differently to help residents navigate the site, Chang says. "Each courtyard has a different character," he explains. "And the orienting device for the residents is not the blocks that they live in, but actually the character of the courtyards. 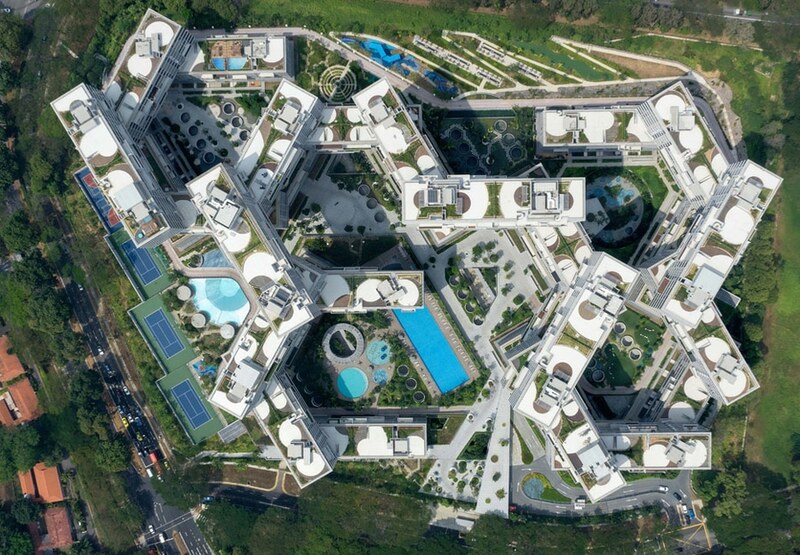 So they navigate and locate where they're living by the different courtyards." 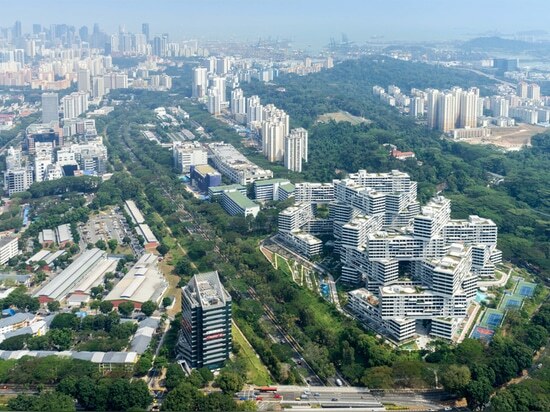 These shared green spaces were also designed to create a sense of community amongst residents, which Chang believes is one of the reasons the project was awarded the World Building of the Year 2015 accolade. 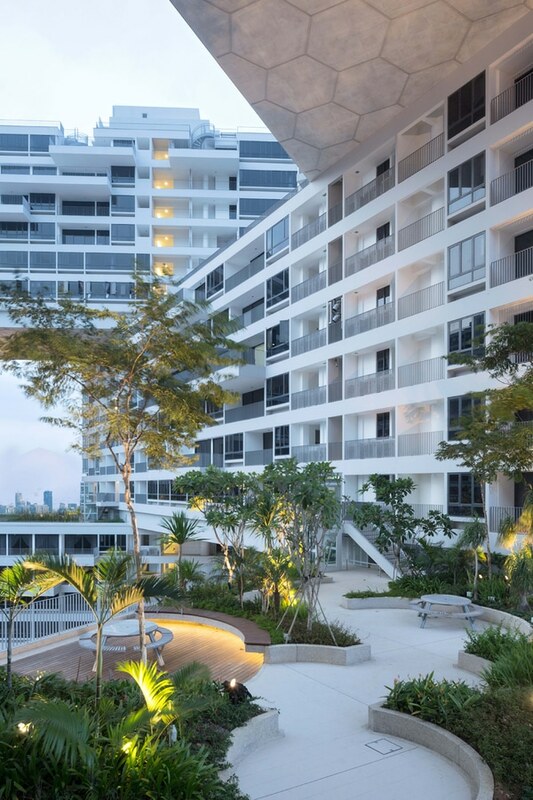 "The courtyards allow the residents to interact and connect with each other in different scenarios," he says. "I think the project has a level of narrative that is about social connectivity and building a sense of community and it is very positive that it has been recognised that way." This movie was produced by Dezeen for World Architecture Festival. 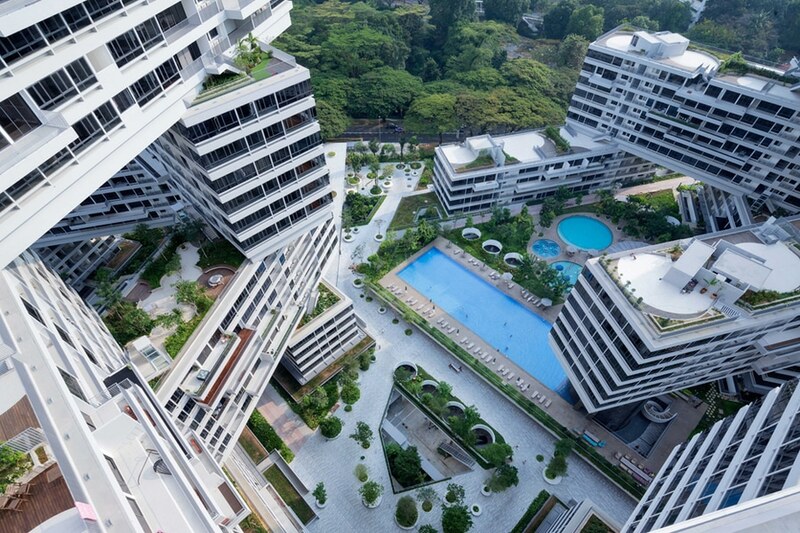 Still photography is by Iwan Baan, courtesy of World Architecture Festival, unless otherwise stated.